I AM NOT A SUPER PLAYER!! Well, after 32 days, I finally finished everyone's MS Paint meme drawings!! ...Oh, did I say everyone's MS Paint meme drawings? 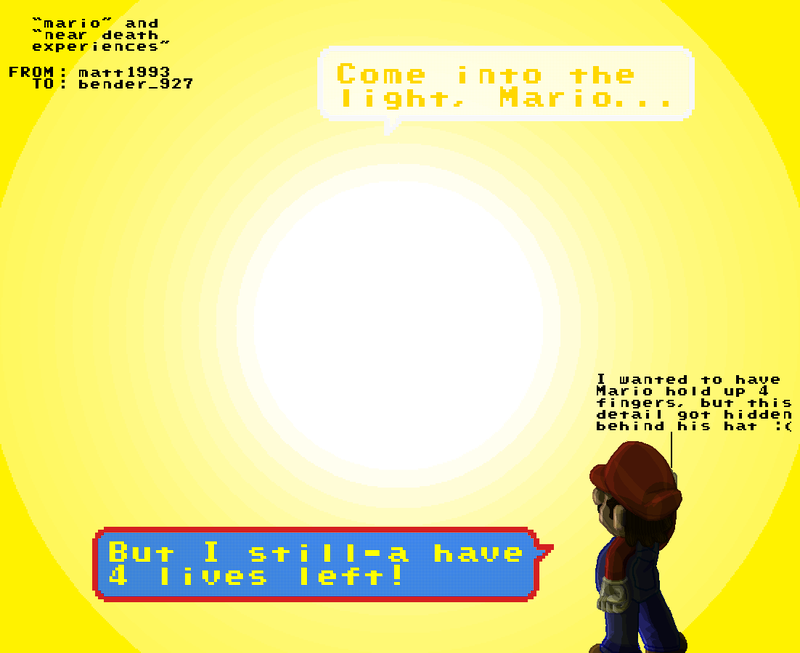 I meant just bender_927's, based on her interests of "mario" and "near death experiences". Yes, it took me 32 days just to finish this drawing that's only almost worth the time it took. This entry does not get a repost button because the entry where I originally posted this meme should be reposted (and edited) instead. Why not switch the arms he's holding up so the four fingers aren't hidden behind the hat? It's what I get for not drawing a simple concept sketch first so I can easily see if I have to move something around before I start actually putting effort into it. Then again, this was my first time attempting to draw anything in this new style.